James is Managing Director of ECD Architects and is a Certified Passivhaus Designer with over 15 years’ experience in low-energy design. James obtained an MSc in Advanced Energy & Environmental Studies at the Centre for Alternative Technology and is a graduate of the University of Liverpool school of Architecture. He has a particular interest in Post-Occupancy Evaluation as a means of improving building handover issues and addressing the gap between predicted and actual performance. In recent years James has been involved in a number of pioneering projects which address the future of building refurbishment in the UK. He has created partnerships between industry and academia to improve wider learning. See: www.rockwool.co.uk/ and is passionately committed to creating attractive, affordable and sustainable environments that meet the long term needs of the building user. As Director, Ian’s role is to champion all building consultancy teams in the successful delivery of projects to meet quality targets, both within programme and financial budgets and to ensure the delivery of Best Value to clients. Ian ensures that all team members are performing efficiently, that lines of communication are well established and operationally effective. His role integrates all disciplines, team members and works in adhering to targeted high quality standards and surpassing client’s expectations. 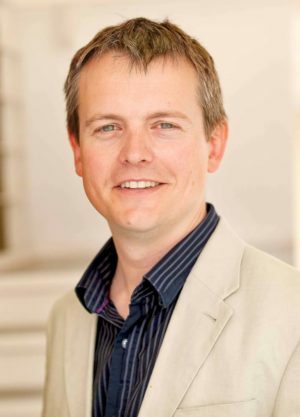 Alistair is a chartered architect with over 17 years experience. 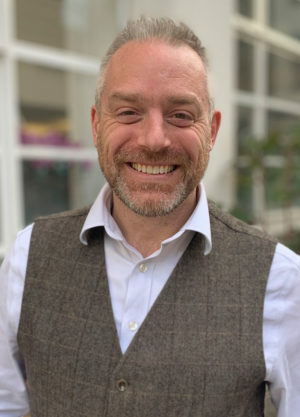 As a Director in the Glasgow office, Alistair is responsible for a number of key client accounts as well as daily management of the Glasgow team. Alistair has a wide variety of experience, with a focus on the higher education, housing, masterplanning and interior design sectors. Alistair is currently working on delivery of the £6.5m programme of new build housing for Scottish Borders Housing Association, along with a £4m extension to the Advanced Forming Research Centre for the University of Strathclyde. Dan is a fully qualified architect with over 20 years experience in the construction industry, having focused on community social buildings and spaces throughout his training. As an Director at ECD Architects, Dan is responsible for the day-to-day coordination of specific ECD project teams and manages design projects from inception through to practical completion. Dan has worked on a variety of project types and is currently overseeing teams working on school expansion programmes in and around London and the South East. 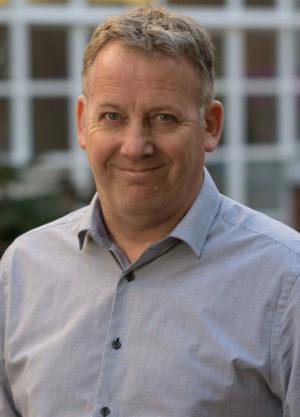 He is also involved in a number sustainable carbon reduction retrofit schemes working with the teams to deliver projects ranging from individual private dwellings to whole tower block renovations to achieve the EnerPHit standard. Derrick is an Architect and Director at ECD and joined the practice in 2015 after successfully building a reputation with internationally renowned award winning Architects and construction professionals for delivering high quality architecture. Derrick’s approach is proactive, creative and always project focused. Derrick’s specialties are in Conceptual Design, Architectural detailing and Building Contract Management. Derrick has the ability to lead teams, run building contracts and win architectural competitions, and has delivered this throughout his career with drive and enthusiasm. 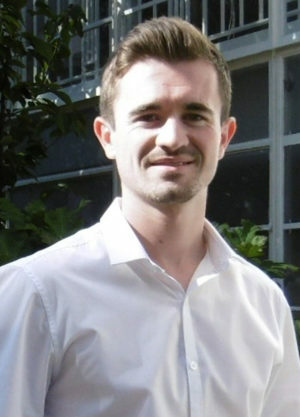 Richard studied at Nottingham University and the PCL in London. In his early career he worked on innovative, solar heated buildings and pan-European research into energy conservation and the use of solar energy. He was a founding partner of Energy Conscious Design (Architects + Energy Consultants). Now a Consultant to ECD Architects Ltd, he is involved in housing and the business sector, supporting the ECD team. His experience includes master planning, urban regeneration, housing, office buildings, industrial parks, and mixed use town centre projects. He was Project Director for several of ECD’s notable buildings, including Banbury Museum and The Royal Ballet School in Covent Garden. Loreana qualified as an Architect (ARB, RIBA) at the Architectural Association and the Central University of Venezuela, she has a Master’s degree in Sustainable Architecture and more than eleven years of professional experience in all stages of the design process; mainly in the residential, commercial and education sectors, both for new build and refurbishment projects. 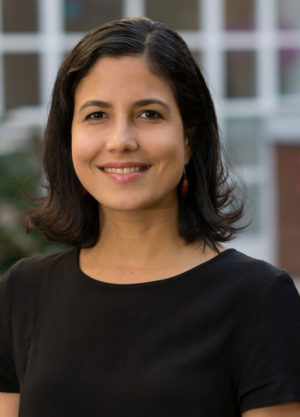 As an Associate Director at ECD Architects, Loreana works directly with clients in order to prepare feasibilities and options appraisals, concept and detailed design, planning applications and tender documentation. She has extensive experience administrating projects and coordinating teams to produce drawing packages for all stages of the design process. She encourages clients, fellow consultants and colleagues to implement collaborative BIM workflows across all design and construction projects. As Head of Sustainability, Loreana makes sure that all projects go through a detailed Sustainability Review at every RIBA stage to ensure that these aspects are covered at the right time of the design process and ring-fenced wherever possible, providing value to the project and the client. 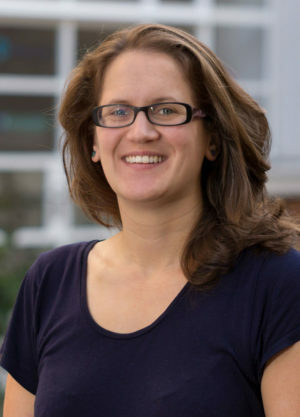 Loreana is a Certified Passivhaus Designer (CEPHD) and has specialised in the refurbishment of tower blocks; in order to achieve a very low energy demand and to provide comfortable and healthy environments for the residents, as well as reduced energy bills. 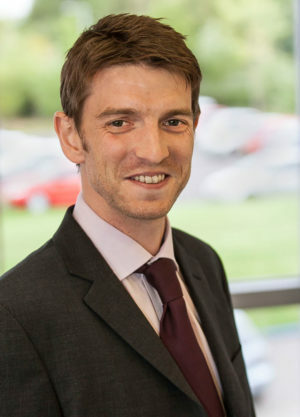 Patrick is a qualified Architectural Technologist with 10 years of experience within the construction industry as well as a BIM Manager completing an MSc at Middlesex University in BIM Management. His experience in the construction industry has involved a variety of projects, from small residential refurbishments to large new build educational and sports stadium projects developments. Patrick has a detailed understanding of BIM processes and Revit Architecture and an expertise in the implementation and enforcement of BIM standards, as well as experience in the implementation of AEC BIM Standards, PAS 1192-2 and project execution plans. As BIM manager Patrick implements the processes and procedures of BIM modelling, information management and Data exchange on projects. He is responsible for: creating the Project Information Plan and Asset Information Requirements: managing the preparation of Project Outputs (e.g. data drops) and the implementation of the BIM Protocol; and updating the Model Production and Delivery Table. David is a fully qualified chartered architect with over 13 years experience. Working from the Glasgow office, David is the senior project architect and lead consultant with a number of ECD key clients. David’s experience covers a varied level of sectors, including housing, industrial, education, distilleries and laboratories. David is currently working on the design of a state of the art Robotarium laboratory for Heriot Watt University, two affordable housing developments in Fife, and several ongoing projects with Morrison Bowmore Distillers, whom ECD have enjoyed a working relationship with for over ten years. Lizzy is a qualified architect with 14 years’ experience of design and getting projects delivered on site. She has experience of new build and refurbishment projects and of working on constrained sites as well as expertise in the design of low-energy buildings. She has also helped to build a small timber-framed house. This range of experience has made her a confident and pragmatic lead designer with excellent skills in communicating with and managing design teams. Having worked on two BIM level 2 projects Lizzy is familiar with BIM processes and the advantages this can bring to a project. 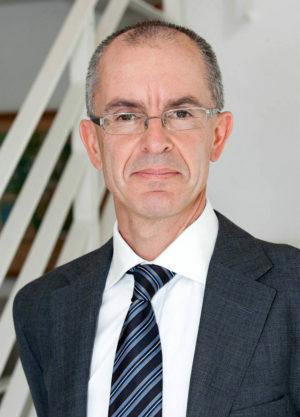 Simon Chadwick is a Senior Architectural Technologist with over 40 years experience in the construction industry. During that time he has worked for practices large, medium and small and has built up an extensive knowledge of building construction and detailing in the residential, commercial, retail, educational and leisure sectors. He is equally experienced in preparing and submitting planning, tender and construction drawings as well as NBS specifications, liaising with clients, local authorities, contractors and other consultants. Simon is currently a Profile member of the Chartered Institute of Architectural Technologists (CIAT) and is in the final stages of completing his application for full membership. Qualified as both an architect and interior designer, Yvonne has over 20 years’ experience in the construction industry. She has worked on a variety of new build and refurbishment projects from inception to completion across a range of sectors including education, science, offices, healthcare and residential. Yvonne has an excellent knowledge and understanding of BREEAM and sustainability requirements, demonstrated in her role as project architect for Scotland's first BREEAM "Outstanding" building as well as being the first BREEAM Outstanding Laboratory building in the UK. Currently, Yvonne is working on the delivery of new build housing developments for clients including the Scottish Borders Housing Association And Caledonian Housing Association. Rae is a Senior Architectural Technologist with over 20 years experience who has been involved in a wide range of projects covering small house extensions, barn conversions, new housing/flatted developments, new build and extension to primary schools, new football stadium and new swimming pool with car park. Working closely with other design team members or on own initiative on projects, Rae is involved in the delivery of projects from pre-design stage through to completion. Katrina is responsible for the development and implementation of the ECD marketing communications plan, and the submission of the company bids and tenders with the support of the ECD marketing team and directors. ECD Architects is an award-winning practice which is continuously published in trade and industry press, provides talks and training sessions at client and industry events, and actively supports the communities within which it operates. Katrina coordinates the company award submissions, organises client and staff events, promotes the company and staff charitable activities, manages the content of the company website and is the PR contact for the organisation. Working with the teams in both offices, Katrina has a key role in supporting our one company approach, ensuring the company brand, promoting the company values and our service delivery through the continuous delivery of formal and informal communications. Sarah joined ECD after completing her RIBA Part I & II qualifications at Bath University. Having since formally qualified as an Architect, she continues to gain a broad range of experience but especially enjoys working closely with clients and end users within the education and community sectors. Sarah has a particular interest in environmental design and sustainability and qualified as a Certified PassivHaus Designer. As Project Architect, she works on projects of all stages, from feasibility and planning to tender documentation and administering schemes on site. Sarah is currently working on Sussex Yacht Club, Aveley Community Hub and Mayplace Primary School. Daniella is a Marketing Executive at ECD with a BSc (Hons) in Psychology, skilled in communication via Social Media, Adobe Photoshop and InDesign. She has a demonstrated history of working in the Architectural Industry with 3 Years’ experience in bidding for housing, educational and commercial sectors. Daniella enjoys keeping up to date with both twitter pages and coordinates the internal and external workshops and conferences. Having joined ECD in 2003, Steven Hillis has worked on ECD projects across the sectors including housing, industrial, education, distilleries and laboratories. As an Architectural Technician, Steven is involved in the day-to-day aspects of ECD projects. He will assist in production of project drawings and documentation; attend meetings with clients, construction and design teams; implements project design and problem shooting; administers project feasibility designs, planning submissions, production information and tendering; and manages project document control and correspondence. 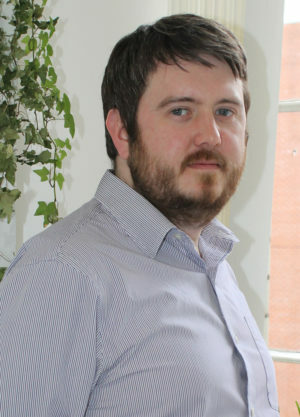 Steven is also team leader of ECD’s FSRA (fire safety risk assessment) team. With experience in carrying out Fire Risk Assessments in a variety of different building types such as sheltered / very sheltered housing, education (nurseries, primary & secondary), distilleries, whisky bonds, hotels, community centres, libraries, town halls, offices and hostels. Joan Ignasi comes from an Architectural Technologist background in Barcelona, with more than 10 years’ experience and 3 years working in BIM Coordination and management positions. He has a vast knowledge in Revit and is an expert in Dynamo, constantly writing scripts to improve team’s productivity and has a sound understanding of the BS & PAS 1192 standards. 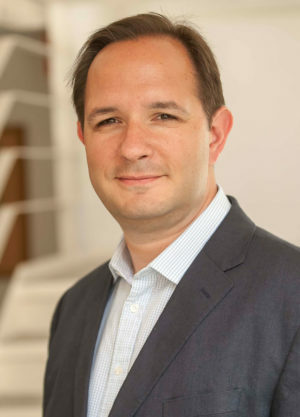 Joan Ignasi is responsible for ensuring the BIM Execution Plan is being followed; the Employer Information Requirements and Asset Information Requirements are delivered. He also responsible for the office’s content creation; assists in company’s BIM implementation, providing methods, procedures and workflows to fulfil the standards. 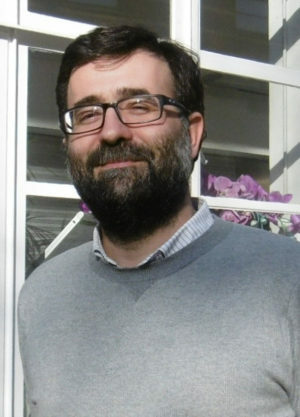 Joan Ignasi is an enthusiast of these new technologies as the way to improve traditional ways of working. Jennifer, a qualified Architect, first joined ECD Architects in 2012 as a Part 1 Architectural Assistant. Upon graduating in 2015 from the University of Strathclyde with a Masters in Architecture, she went on to pass her Part 3 examinations whilst working for ECDA full time. Jennifer’s experience covers an extensive range of projects, varying in scale from small residential extensions to large scale new-build projects, and covers a wide range of sectors, including industrial, residential, education, commercial and leisure. Her experience includes both refurbishment and new-build projects, as well as interior design. Within her role at ECDA, Jennifer is involved in the day-to-day aspects of ECD projects including attending client, construction and design team meetings; implementing project design and problem shooting; administering project feasibility designs, 3d modelling and graphic work, production information and tendering; and managing project document control and correspondence. Kathryn is an experienced, qualified architect with excellent site and contract administration skills and a keen eye for detail. She has experience in educational, residential, and high end interior design projects. Kathryn has worked with both new-build and refurbished buildings, and focuses on producing well designed buildings that have a positive impact on both the environment and their users. Kathryn was responsible for the design of several exemplar school projects including RIBA award winning Stoke Newington School. As a Senior project architect, she has strong experience throughout the design process from client engagements and consultations, liaising with statutory authorities, combining multiple disciplines, producing high quality drawings and presentations, right through to site inspections. Belen completed her Masters of Architecture at the Polytechnic University of Valencia and is currently studying Sustainable Building Design and Engineering MSc at University of Greenwich. She has over 4 years experience as an Architect in a variety of projects such as residential refurbishments to new build and large educational and cultural projects. 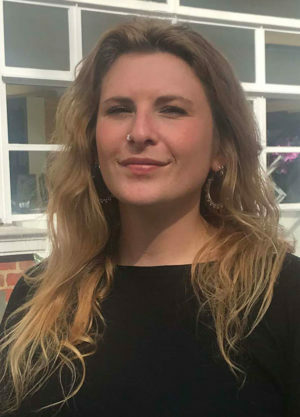 At ECD Architects, she is currently working with Basildon Council improving the existing Sheltered Housing provision and the delivery of new build affordable housing for Epping Forest Council. 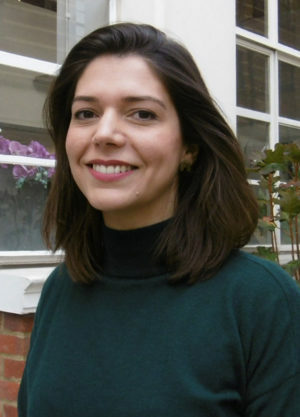 Linda completed her architectural studies at Westminster University and has over 3 years’ experience as an Architect. Linda has worked on both new-build and refurbished buildings and has experience in educational, residential, and mixed-use projects. As a Project Architect Linda has experience on all stages from client meetings, liaising with the local authorities, supporting the team during the design stages and administers the coordination of a multidisciplinary team as lead consultant during tender and construction. She recently completed a BIM level 2 project. At ECD Architects, Linda is currently working with Tower Hamlets Council developing a mixed tenure residential scheme. 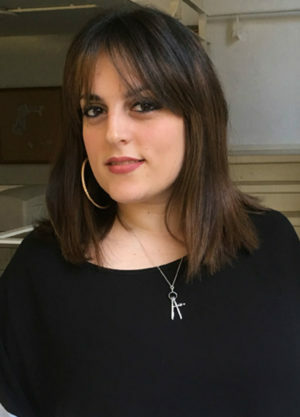 Marina completed her Diploma in Architectural Engineering at the National Technical University of Athens and holds a Master of Architecture in the subject of computational design from the Mackintosh School of Architecture. She has experience as an Architectural Assistant and freelance Architect, having been involved in various types of projects, from refurbishment, residential and interior design to international architectural competitions. In ECD Marina has been involved in various projects in the education, industrial and housing sectors, as well as distilleries. As an Architect, she attends meetings with clients, carries out site surveys, supports the team in and administers project feasibility designs, development of design proposals, 3D modelling, graphic work, production information and tendering. Claire Raftery completed her BSc in Architectural Design and Technology in 2013 at the University of the West of England. She has since gained 5 years’ experience working in a range of Sectors including Healthcare, Education and Science & Technology including Refurbishments and New Builds. Claire has experience working in all RIBA Stages, but has had particular focus in Technical Design and Construction. Claire’s role as an Architectural Technologist includes, amongst other things; managing projects on a day-to-day level, putting together stage reports, attending construction and design meetings, dealing with on-site queries and progressing the design. Elliott qualified as an Architectural Technologist at Nottingham Trent University in 2013. 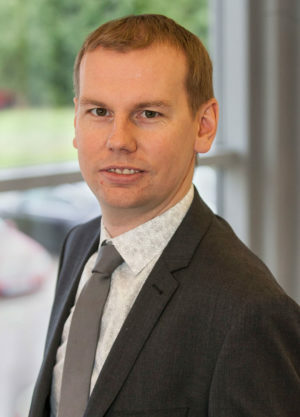 Elliott became a Chartered member of CIAT in 2016, and has gained 5 years experience in the residential, commercial / retail and care sectors both in new build and refurbishment across all stages. As an architectural technologist, Elliott is involved in the day to day aspects of ECD projects, attending design and construction meetings, assisting project teams implements project design and problem shooting; administers project feasibility designs, planning submissions, production information and tendering. 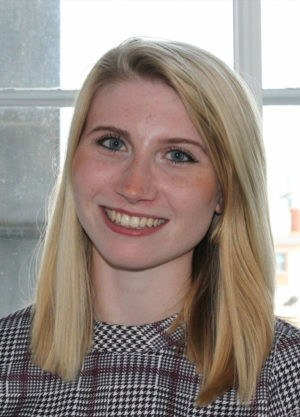 Hannah is currently studying at the Mackintosh School of Architecture and completing her part one year out experience. Her focus on sustainability and innovative ways to create happiness and general well-being, through well-designed buildings, is what has brought her to ECD. Winner of the first Derek Mickel Architecture Scholarship in 2015, for her design entry into the “Home for the Future” Competition, Hannah used precisely these core values in her design. With the myriad of projects ECD are covering, Hannah is helping assist the team with design proposals, graphic work, 3D modelling and planning submissions. Alice completed her Master of Architecture at the Welsh School of Architecture in 2016 after winning the Wyn Thomas prize and being nominated for the RIBA Presidents Medal. Her Masters degree focused on investigating post-industrial crisis cities, master-planning and taking urban strategies to the architectural scale. Alice has almost five years experience working directly with clients, comprising of feasibility studies through concept, detailed and technical design, tender and post construction documentation. She has recently led the team coordination of two residential projects from tender through construction, offering consultant and on-site support, whilst producing all information packages for stages 4-6. 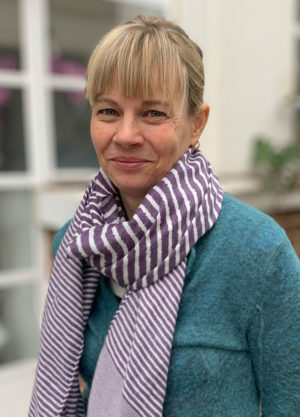 Further to this, Alice has worked on high profile world heritage sites, working with the client to develop a brief and program strategy, and within the arts, culture and education sectors. Ciaran Gallen completed his Masters of Architecture in 2018 at Oxford Brookes University. His degree included a specialisation in Urban Design, which looked to push the boundaries of urban intensification in the cities across the world. The gained knowledge of master-planning along with a passion for building narrative helped him enjoy a successful final year of study. Ciaran is relishing the opportunity to get back into practice having previous experience in the residential and healthcare sectors. As an Architectural Assistant Ciaran hopes to work with the ECD team to broaden his understanding of project works from brief developments to construction, with an end goal of achieving his part 3 accreditation. Ciaran is currently working with Westminster County Council for the redevelopment of an underutilised play space in Marylebone. He and the team are looking at design options that aim to regenerate the area. 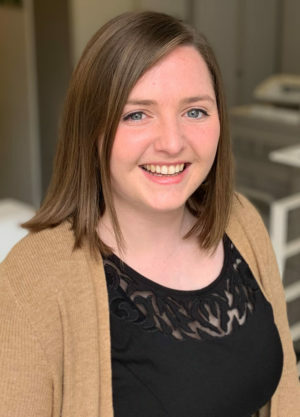 Melissa is currently studying at the University of Dundee school of architecture and is completing her year out experience at ECD architects where she can build on her knowledge on how architecture works in practice, from brief development to construction. Her growing interest in sustainability is what has brought her to ECD, as well as her concentration in how architecture can affect or even change a society. These core values have been explored through her most recent projects at university and are aspects she wishes to develop at her time at ECD. 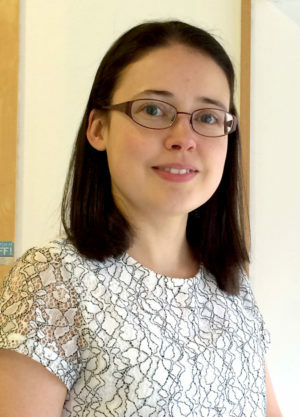 In the wide range of projects ECD are currently working on, Melissa is helping to assist the team with design proposals, computer modelling, drawings and planning applications. Gabriella Seminara graduated with honours in Architecture in 2014 and is a qualified Professional Architect. During her studies she attended two summer schools in Sustainability and Design abroad, which allowed her to develop a greater sensitivity towards the landscape. She learnt new techniques relating to the representation of the project, including the use of the booklet de vojage, which for her becomes a valuable tool for studying, observing and narrating the places. She obtained Autodesk certification both for the use of Revit Architecture and for rendering with 3Ds max v ray. 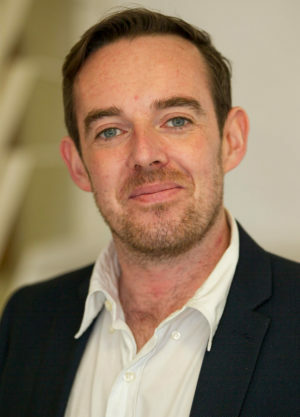 Niall is a qualified Architectural Technologist with over 10 years’ experience delivering Educational, Residential, Commercial & Leisure projects in the UK, Ireland & Japan from concept to completion. Niall is currently pursuing further studies for his Diploma in Architecture at Oxford Brookes University, having recently completed his Part 1 Certificate. His final year studies focused on re-imagining our experience around food in an effort find solutions to alleviate food poverty. As an Architectural Technologist he is currently working to deliver Arthur Street in SE London, a large scale residential project, from stage 3 to completion.